As I was surfing the net looking for information on gluten-free flours, I just came across this awesome website by Conagra Mills and their new product Ancient Grains. Ancient Grains is a new gluten-free flour blend that will soon be available to commercial bakeries & manufacturers! How exciting is that? Sadly Ancient Grains won’t be available to buy at your local grocery store, but hopefully in some of the products on those very shelves soon! 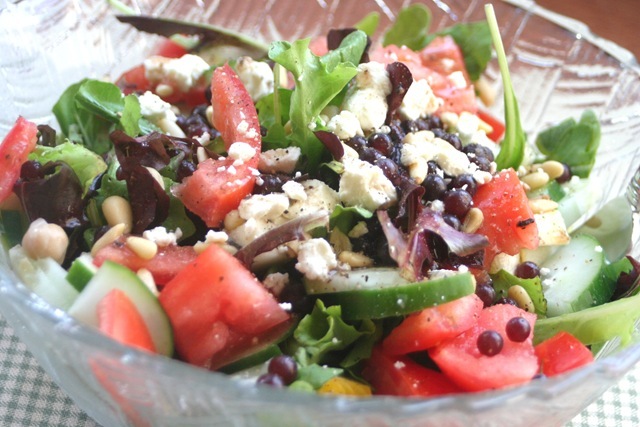 Light Balsamic Vinaigrette dressing finished this off perfectly & helped bring together all the amazing flavors. Don’t forget to enter my Fiber One 50 Calorie Yogurt giveaway. Green Dog Wine is running a Turtle Mountain giveaway. Stop by to check it out!!! Turtle Mountain makes a Coconut Milk PB Swirl Ice Cream that I am dying to try!! PICK ME, PICK ME!!!! Thanks to all who entered the Nature’s Path giveaway this week! 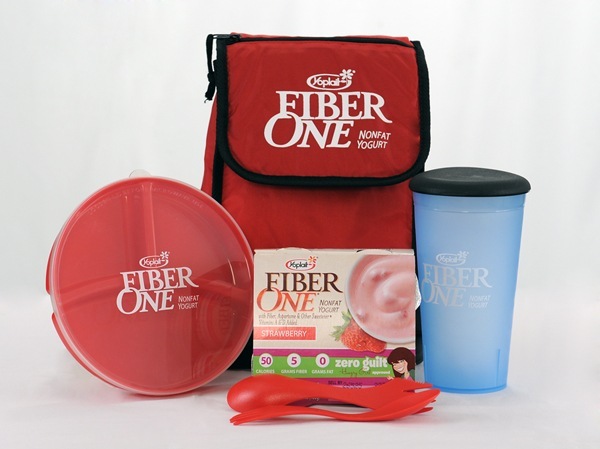 If you didn’t win this giveaway, no worries, I am running another giveaway for Fiber One 50 Calorie Yogurt gift bags this week! There will be 3 winners for this giveaway!!! 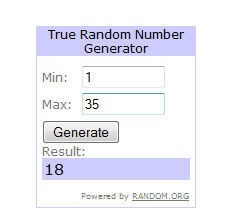 I used the Random Number Generator to choose the winner. Stephanie’s comment: Panda Puffs, the poor (wo)man’s version of Barbara puffins. Mmmm…. would love me some of those. I chose the Key Lime flavor. Wow….this stuff was pretty good! Non-fat, 50 calories & 5 grams of fiber!! The real test was Jon….if he likes it, you know it rocks! 😉 LOL! It passed the “Jon” test! He ate the other 3 in the package before I could get to them!! These are great for a quick afternoon snack to hold you over until dinner or even after dinner as a nice little dessert treat. Now, are you ready for the fun stuff? My Blog Spark is going to send out gift bags to 3 lucky readers!!! Each of the 3 readers will receive exactly what is pictured above. The cooler bag and other items to carry your snacks & yogurt. Also, you can go here for a $1.00 off coupon for Fiber One 50 Calorie Yogurt. What do you have to do to enter this giveaway? I am going to tell you. 1. Answer this: What is your guilty snacking pleasure? 2. If you have a blog, post about this giveaway & link back. 3. Add me to your blog roll if I am not on it. 4. Good luck! You have until Sunday, August 19, 2009 at midnight to enter this giveaway!